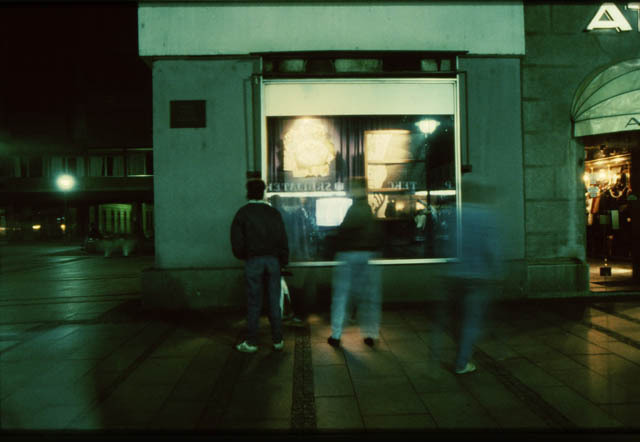 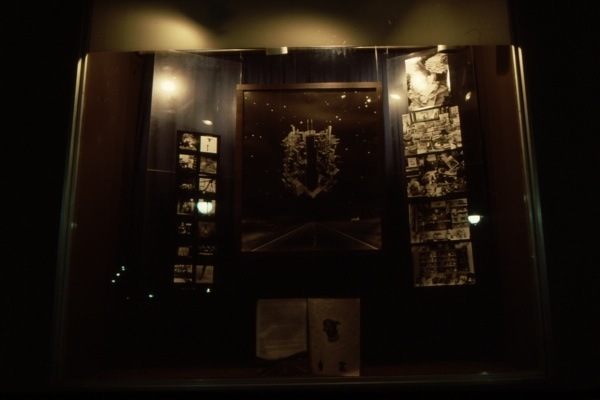 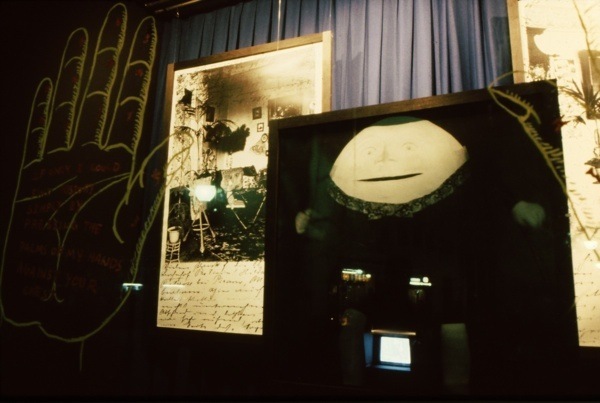 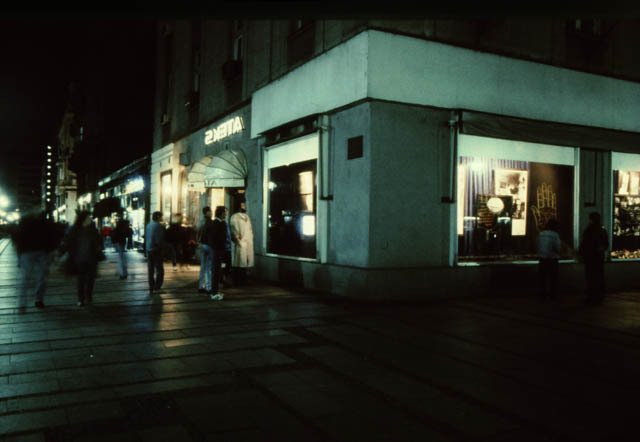 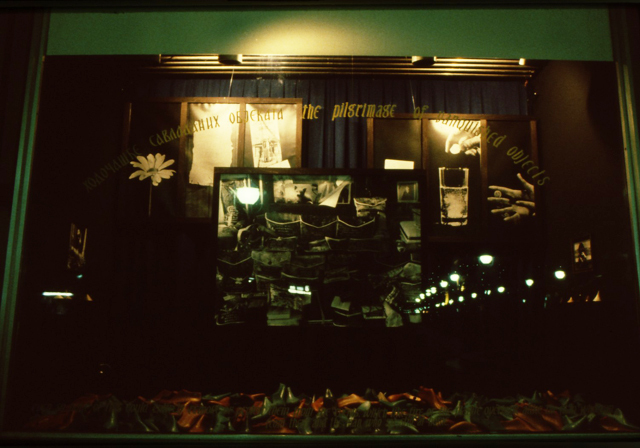 Using photographs, video, text and shoe laths in a window display on Belgrade’s busiest pedestrian street, this installation presented interior and exterior spaces of Yugoslavia amidst an impending civil war. 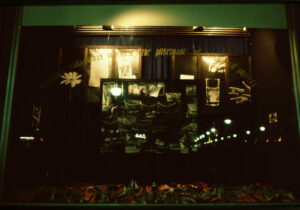 Below the quote hundreds and hundreds of shoe laths covered the floors of the four window display cases. 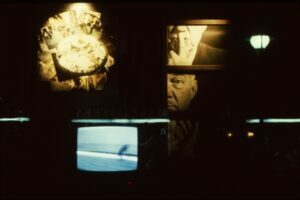 Additionally large scale black and white photographs and video monitors intimate interior spaces next to open exterior spaces.